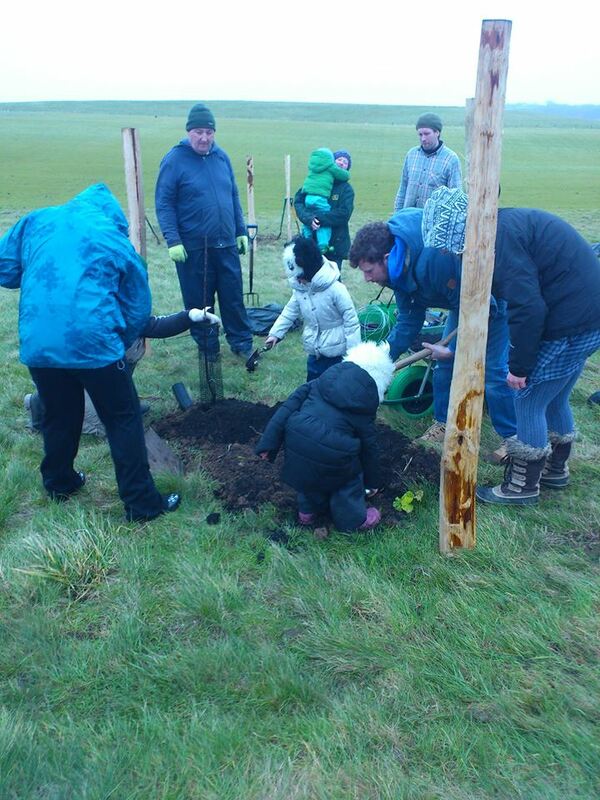 Peacehaven Community Orchard at the Big Park have been working with Brighton Permaculture Trust to plant an apple orchard. The west of the site has already been planted up with some of the toughest apple varieties they could find, as the site is currently rather exposed. To the east side of the site they have planted the first 12 trees of what will be a further (and hopefully complete) collection of 14 varieties of Sussex apples. Surrounding the orchard we have planted a shelterbelt to help protect the Apple trees as they establish. These include fast-growing species such as Italian alder and Monterey pine; native trees like oak and beech; nut-bearing species such as walnut and chestnut; and fruiting species like cherry plum and crab apple. They now have a working beehive and our friends at the Gateway cafe have also agreed to save their coffee grounds to help make the orchard more fertile. 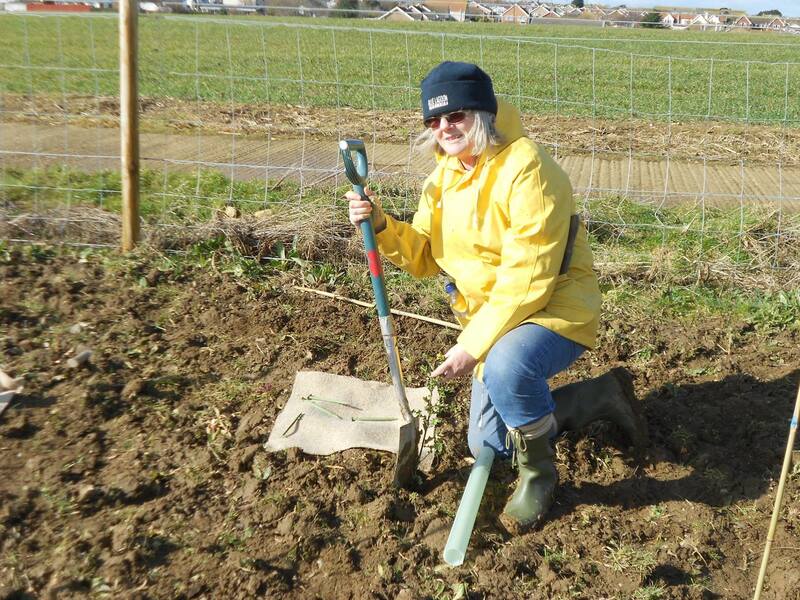 We’d like to thank all of the volunteers for all of their hard work over the cold winter especially Sue Griffiths, the Brighton Permaculture Trust Volunteers, the Unemployed People’s Group and all of the little people who donned their wellies to muck in.